We discussed in length the importance of having a disaster recovery plan in place. Such a plan helps businesses bounce back from a setback including failed technological hardware, a power outage, or damage from a storm or natural disaster. 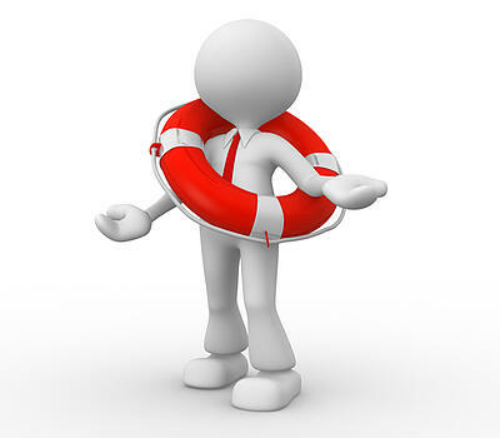 Often when discussing disaster recovery, the term business continuity also gets thrown around. Believe it or not, business continuity and disaster recovery are not the same. Here we explore the differences between the two, to ensure that your business has both disaster recovery and business continuity protocols in place to keep business running as smoothly as possible. Business continuity involves the management, planning, and oversight of making sure that an IT environment has systems in place to keep IT running in continuous operation in the event of an emergency such as a system failure. Business Continuity has less to do with the actual IT components and more with the operation of the business as a whole. A Business Continuity Plan includes the procedures and protocol that are carried out by an organization that make sure essential business functions are able to operate both during a disaster and throughout the recovery period. Even though Business Continuity Plans do reference IT components, the plan is more focused on which individuals are responsible for what. Business Continuity Plans require whole-organization buy-in and training across departments to make sure everyone knows what they are responsible for in the event of a business emergency. Disaster Recovery is a subsection of an overall Business Continuity Plan. Disaster Recovery Plans involve the process of saving and replicating data with the main goal of having recovery points to restore IT functionality after an IT disaster. It is important to note that Disaster Recovery doesn’t just involve major system failures, DR plans are also established for minor incidents such as the accidental deletion of a data set and other human error events. While Business Continuity Plans focus on the organizational-side of things, Disaster Recovery is in charge of the IT side, specifically making sure that data is backed-up to a secondary site. In addition to replicating data in a second location, Disaster Recovery maps out a plan for how the data can be recovered so businesses can continue operations as normal. Some businesses will say “We have a DR plan in place, we’re fine.” Others may think “Our Business Continuity Plan will keep us from experiencing major service disruptions.” Both of these statements have some major flaws. You need a Business Continuity Plan to ensure that everyone in the organization knows what he or she is responsible for in the event of a major outage. While at the same time, a Disaster Recovery Plan ensures that IT components are backed-up to secondary sites, and creates a map for how to access the backed-up data. Having one plan without the other will create major bumps on the road to recovery in the event of a major system failure.